Latest In Beauty have been renowned for their build your own beauty boxes without having any subscription to tie you in. 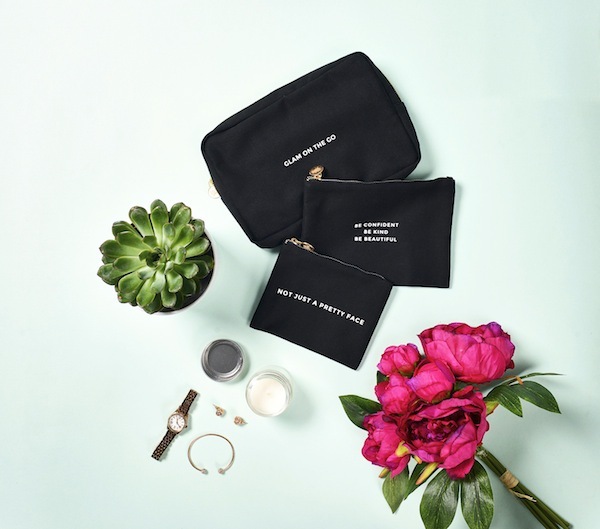 Now, with a relaunch a couple of days ago (complete with a new logo) they have both one off boxes, and a monthly (cancel at anytime) subscription service, similar to the You Beauty Box as the same company runs both sites. Postage is free for subscribers (including curated boxes), and the £3.95 postage still applies to one off boxes or non-subscribers, but at least the option for free postage now exists. There are three options to choose from; each as a subscriber, or as a one off box where each box will be charged £3.95 postage. Beauty Novice ~ £9.00 for three items either as a one off box or subscription. Beauty Enthusiast ~ £15 for six items, either as a one off box or subscription. Beauty Guru ~ £18 for nine items, either as a one off box or subscription. If you choose to subscribe, you will be billed on the same day each month and if you don’t choose your products, then a selection will be made for you based on your profile. You don’t have to fill out your profile to subscribe, and to be honest it’s much better to choose what you like, just don’t forget to do it before you get billed. The idea is to choose your products before you are billed here, so you can choose and put things theoretically to one side and not have to wait. Don’t wait for payment to be taken, because according to the site that means they will choose and despatch their selection for you. I think they need to make this clearer, as some people may get caught out and think they must wait for payment to clear before choosing. As with all new sites there are a few teething problems with the site being slow, baskets showing up as empty, or previous logins not being recognized. I spent a couple of hours trying to navigate the new site, and one thing I am happy about is that you can browse what is on offer without having to log in. Unfortunately the site didn’t retain any previous order details or addresses, so old users will have to keep copies from their emails, and fill out the forms again. I admit it was frustrating with my basket showing as empty several times, and then reappearing, some items were added and others weren’t. Hopefully the bugs will be sorted soon. Curated collections will still be in boxes, but all other orders will be tissue wrapped and the first order will come in a cosmetics bag. I welcome this change, as the small boxes weren’t that useful, and when I had a big order it arrived in two boxes. A new product will be added each day, which is one of the issues the previous site had where often there were out of stock items, and nothing new was added for weeks or randomly. For those who have used the site before, there is a slight increase in the price for the bigger boxes; previously it was £8.99 for three items, £12.99 for six, and £16.99 for nine items. However, the increase can be offset with the free postage if you subscribe. I will update my review once my orders have been received, which are still being processed. So far, so good, as the items on offer have been increased (200+ to date). There are a few old favorites, some new items (some that have sold out already), and a selection of previous offerings from the You Beauty Box selections. If you are looking for a gift, the Winter Skincare Box looks excellent value at £15 and includes brands from Caudalie, REN, and Philosophy. Sign up here to join, and add your name to the email list to receive a 10 percent off promotion code, and don’t be disappointed any longer with your beauty box. Join before 30 November and subscribe to get 30% your first box with the code NEWLOOK.